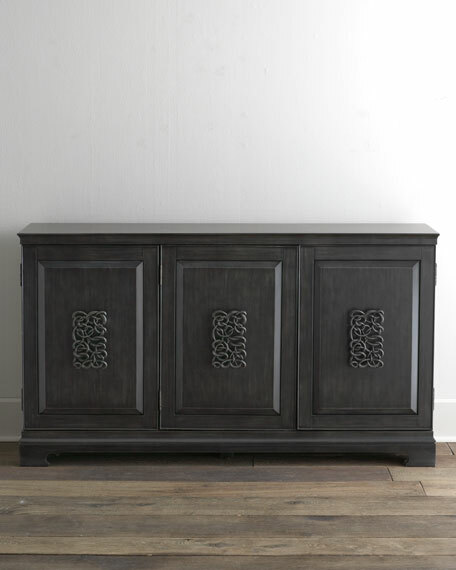 Sideboard with ornate, interlocking design of the door medallions. Made of hardwood solids, hardwood veneers, laminated lumber, and metal. Two adjustable shelves behind left side-facing door. Two adjustable shelves behind right pair of doors. Three doors and four shelves total. 64"W x 18"D x 36"T.